Every year, right after Thanksgiving, I look forward to a visit with the ghosts of Christmas past. They come out each time I open a box filled with antique and collectible decorations. There's a nativity set from my parents with chalk-ware figures, purchased a few at a time for 10 cents each at Woolworths Five and Dime store downtown Tucson, Arizona, an old glass cookie jar with painted poinsettias, two tiny Christmas ornaments from my grandfather, a Space-Age-esque, electric plastic star, an ornament with a bedraggled felt cat purchased for our first married Christmas over 45 years ago, and a variety of other Christmas treasures I've been given or have had the pleasure of finding one at a time. I am an avid Christmas collector. The field of Christmas collecting is endless since every year, companies like Hallmark issue new items along with many other companies that specialize in figures like snow babies or Dickens-style villages or other figures associated with Christmas. But here's the deal, having a collection is only a good thing if it can be displayed or used in some way. Having boxes of stuff piled high in a storage or garage on a temporary basis is fine, but being able to use and enjoy a collection should be what collecting is about. 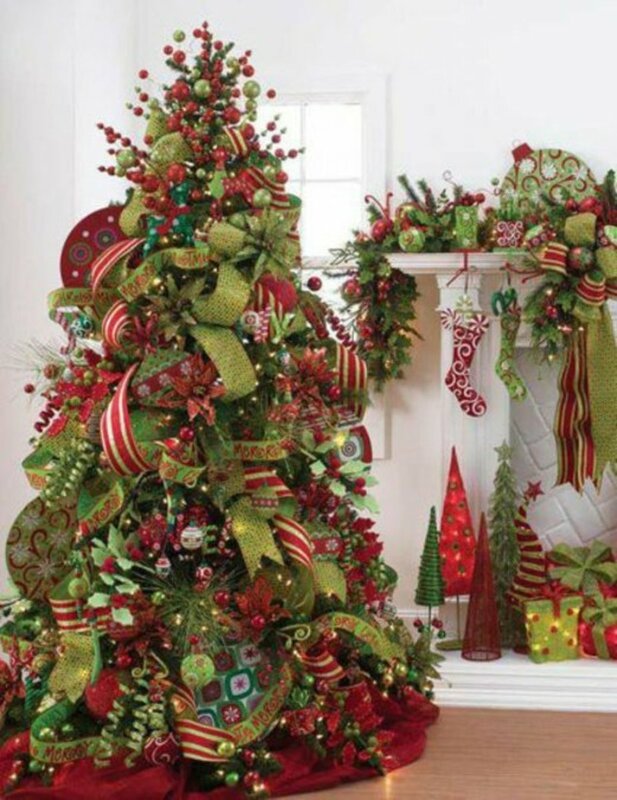 The Christmas tree and ornaments is a fine place to begin a Christmas collection. We usually have a living room tree, a tiny tree in our dining area and a bedroom tree. According to English history, Prince Albert, who was from Germany, brought the tradition of decorating a Christmas tree to England when he married Queen Victoria and soon the tradition spread around the world. 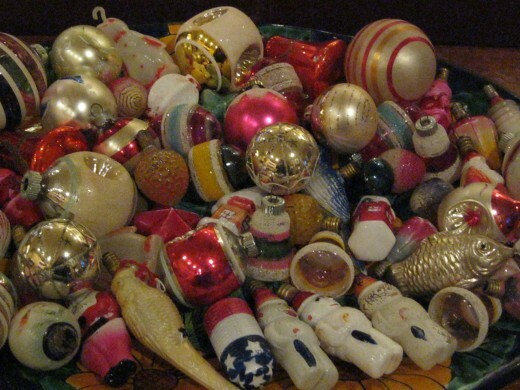 When selecting collectible antique ornaments the rule of buying what you like and what you can afford applies, but I'd like to offer some tips as to the age of ornaments. 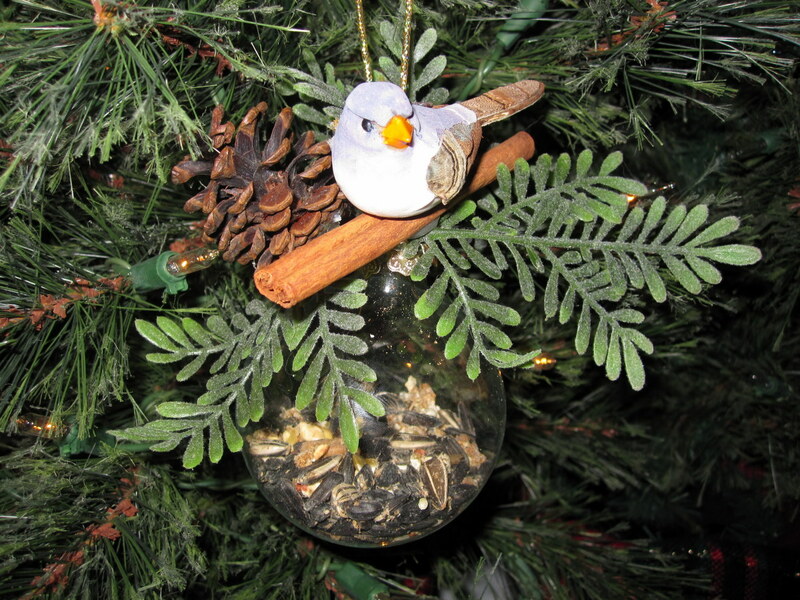 First, older ornaments were usually designed for small table top Christmas trees, and old ornaments are smaller in size than ornaments made today for larger trees. Look for interesting shapes, and for those ornaments that are concave. Check the tops. The loop at the top will be fairly small and the metal should have oxidized to an almost black color. 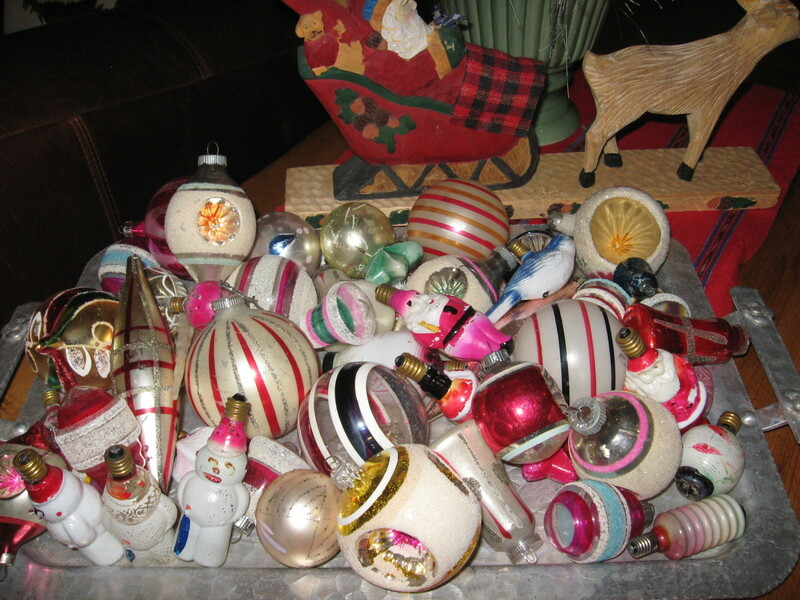 Ornaments from the late 1930s and early 1940s sometimes will have plastic loops, since metal was scarce during World War Two. 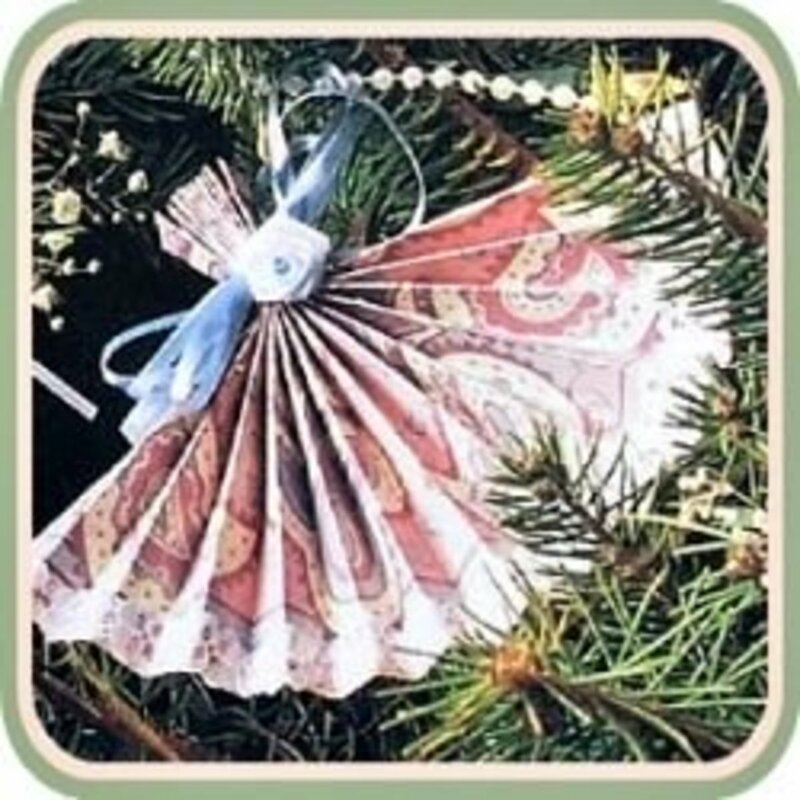 Many antique ornaments range in price from $2-6 dollars each, and if the ornament appears too new, there's a good posibility that it is a reproduction. There isn't any right or wrong way to hang or display antique ornaments, but I keep my best displayed on a tray, so that guests can pick them up and enjoy looking at them. Also on the tray several of my Christmas antique light bulbs are visible. 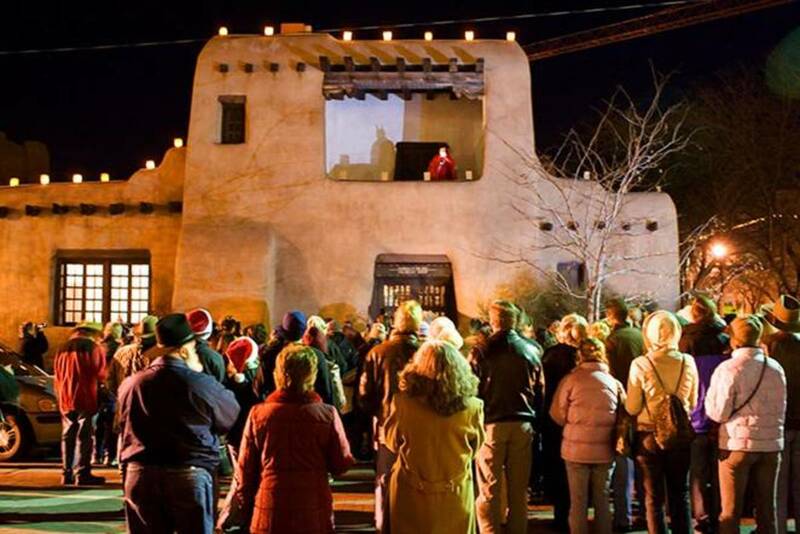 The most common ones to find are snowmen, santas, stars, and Japanese lanterns. Because they were produced in fewer quanities than ornaments and sometimes when the light cord or "string" went bad, the whole string of bulbs was thrown away, expect to pay from $10 up for a bulb in good condition. 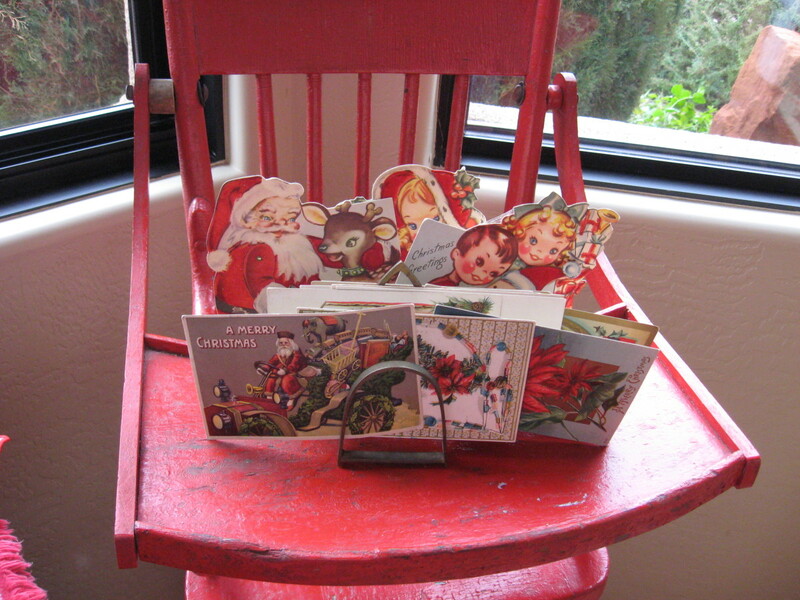 A fairly inexpensive way to begin collecting Christmas items is purchasing Christmas postcards or old Christmas cards. These range in price from $2 and up. I display mine in antique toast racks. A plus of paper items is that they can be photocopied for creating package tags and paper ornaments and place cards and a variety of other Christmas uses. 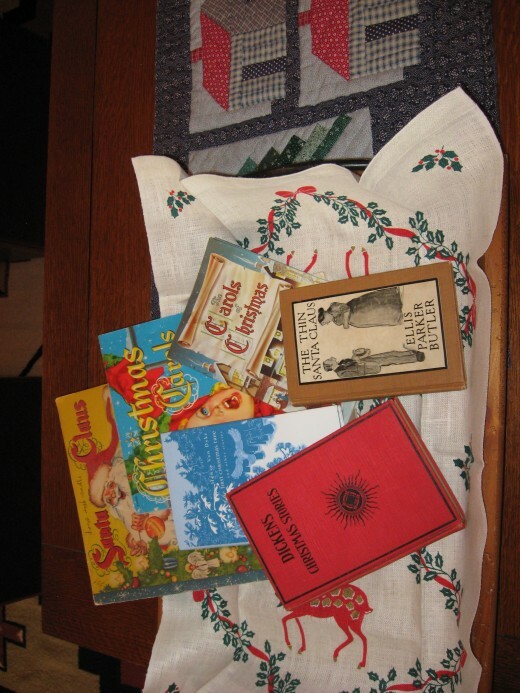 Christmas story books, novels with interesting covers and Christmas carol books are inexpensive and available. 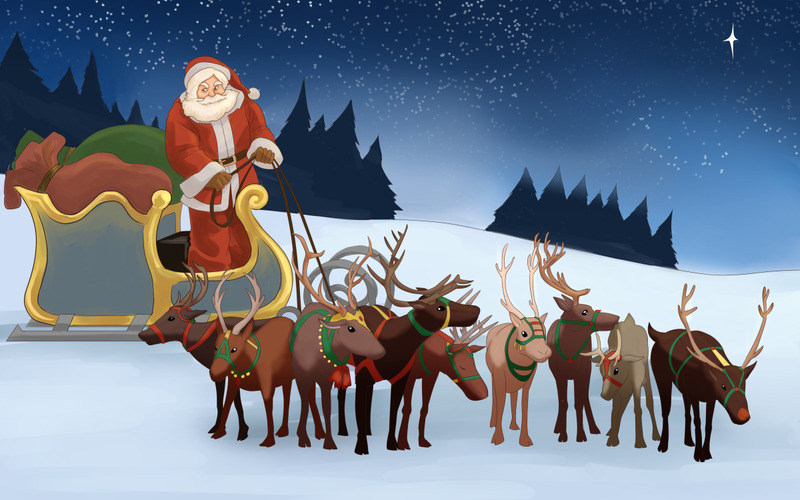 Whether you call him Santa or Father Christmas or any other name, he's become the symbol of the jolly guy who brings toys to children of every age. 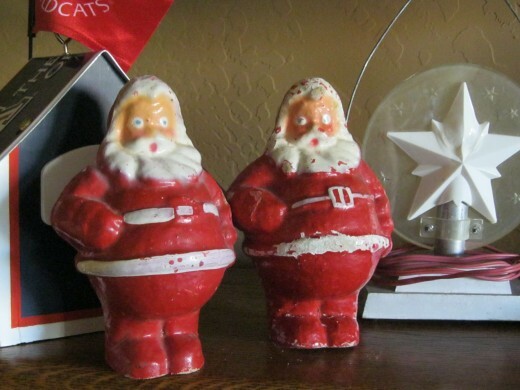 My oldest Santa belonged to my grandfather. Times were hard in his West Virginia family, and the tiny two inch chalkware Santa on the roof circa 1900 is a family treasure. 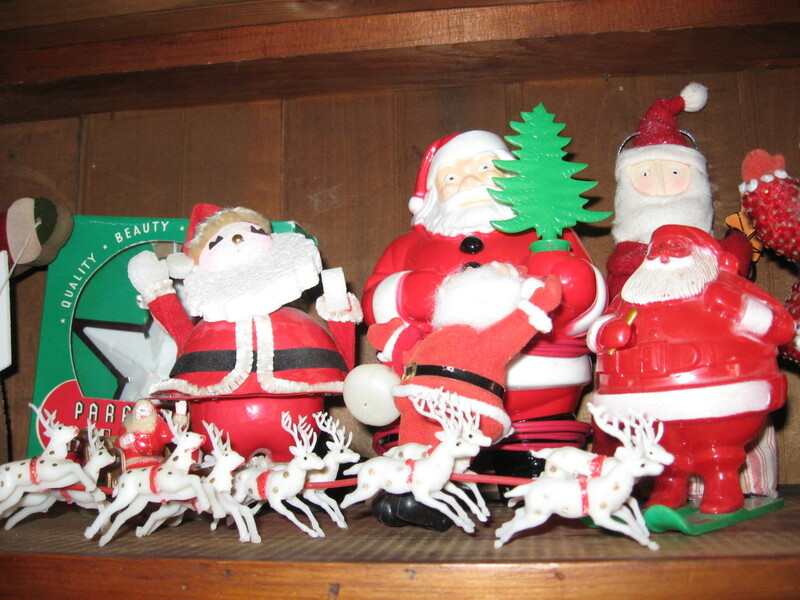 I look for hand carved or painted santas for any era, and plastic Santas from the 1960s and 1960s, and Santa's driving plastic sleighs with reindeer. 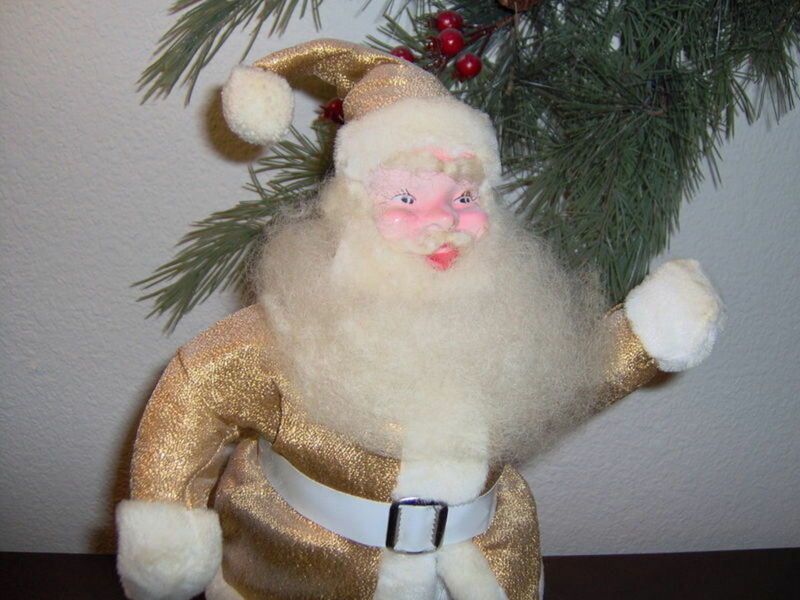 My most unusual Santa is hard plastic and he clearly has had too much loaded eggnog, since he is clutching a light pole. 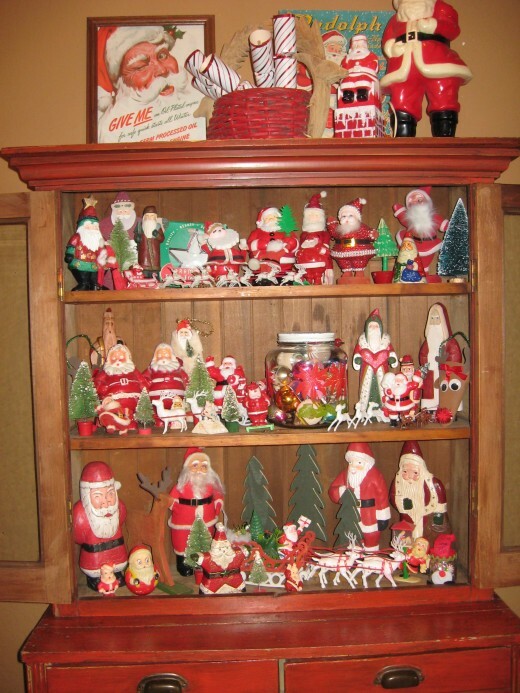 I display Santas throughout the house, but I also group them in an antique cupboard. Some people collect the Christmas trees themselves. 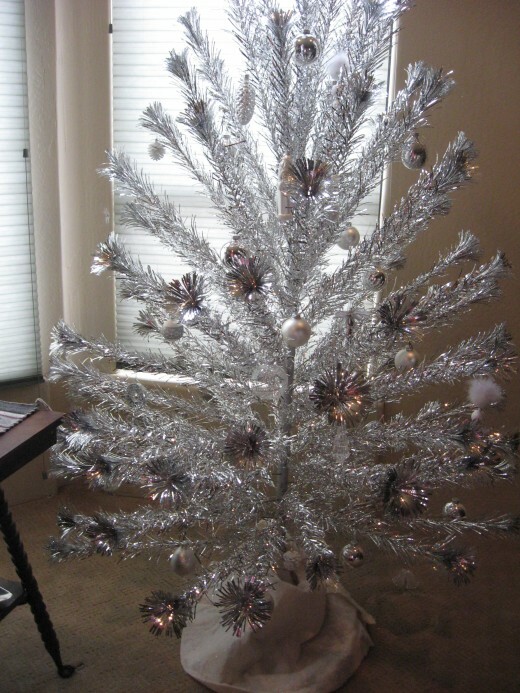 My bedroom tree is a 1960s aluminum pom-pom tree still in its original but beat up box. I purchased a color wheel for it on Ebay and I change the color of the ornaments on it each year. My kitchen tree is decorated with tiny antique glass and celluloid charms and is set into an old lard tin for a stand and is only 20 inches tall. The Christmas collecting field is way too large for me to do it justice in one Hub, because the possibilities are endless. Wishing my readers a wonderful Christmas. Where do you look for vintage Christmas items? Usually in antique stores or on eBay under "Antique Christmas." Thanks Deborah, we have ornaments our children made on our living room tree and several funny Santas they made are in the picture of the Santa cupboard. 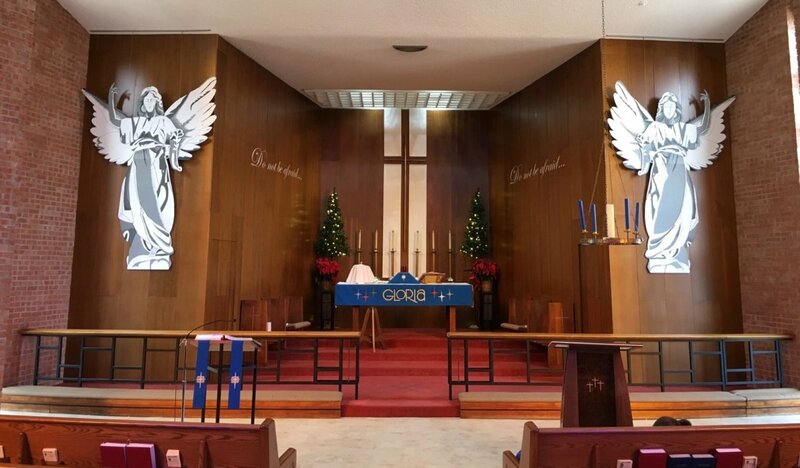 A Merry Christmas to you and yours! AWESOME.. I love old antique Christmas ornaments..I have ornaments with my children s names. they are now 33 and 35 years old now.. I cherish them forever.. i voted up and awesome.. This is wonderful! I am obsessed with antiques, and many of my grandmother's decorations have been passed down for generations, so I always enjoy getting to see some of the old ornaments. 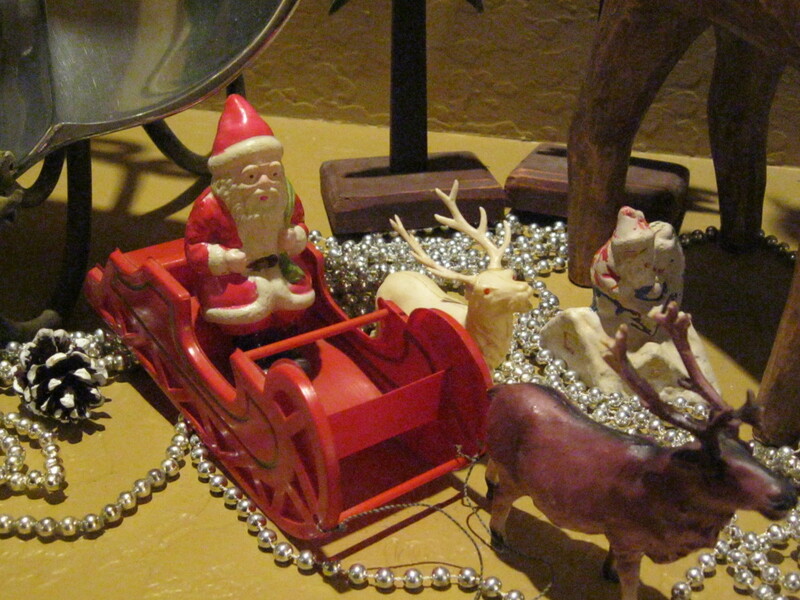 We have a 1920s Santa and sleigh in our front hallway that is my absolute favorite!